Aloo Kulcha or Amritsari Aloo Kulcha is a traditional and very popular Punjabi stuffed flatbread recipe. This flatbread is made using all-purpose flour aka maida and stuffed with spicy and tangy mashed potato filling. This gratifying Indian bread is served as a snack, breakfast, or as a side dish for lunch or dinner. 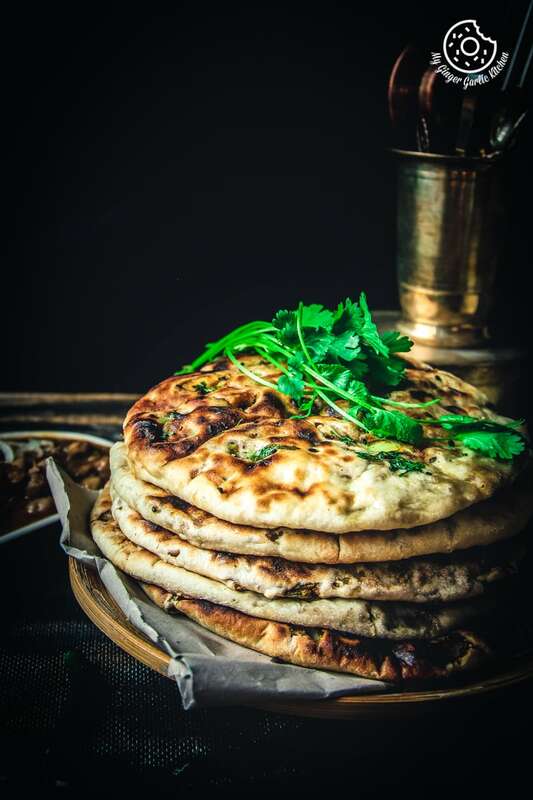 This recipe is named as ‘Amritsari Aloo Kulcha’ because Kulcha originated from ‘Amritsar’, a city in the Indian state of Punjab. Amritsar is famous for it’s Amritsari Kulcha, Amritsari Chole, and Amritsari naan. Kulcha is an Indian style flatbread made from maida flour, salt, sugar, (a leavening agent — yeast or baking soda), ghee/butter, and water/milk. The above ingredients are mixed together by hands to make a smooth dough similar to what we make in naan. Then the dough is rested covered, with a wet cloth for 30 minutes to 1 hour in a warm place. As a result, what you get is a slight leavening of the dough which is not much. The dough needs some punching work and then again by hands it is rolled out using fingers or a rolling pin into a flat, round shape. 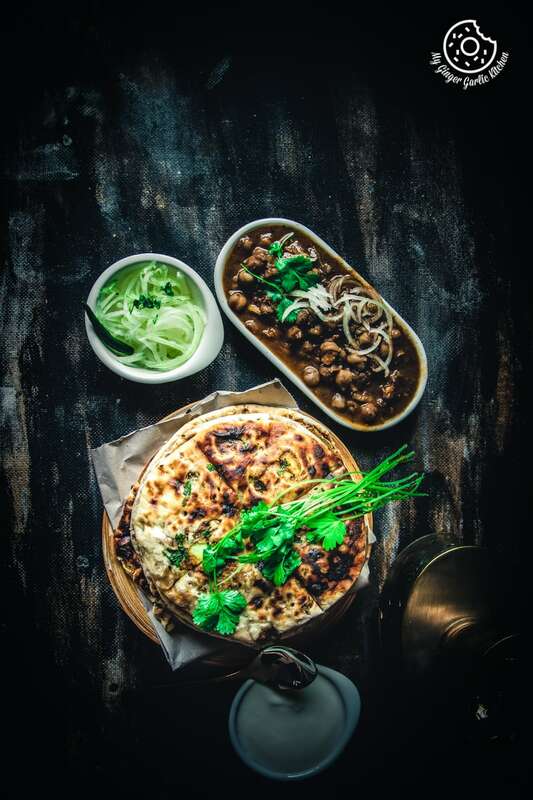 Traditionally, the kulcha is baked in a Tandoor (earthen clay oven) until crisp, golden and cooked through. Once baked, it is then brushed with a generous amount of ghee or butter. Amritsari Aloo Kulcha is a flatbread which is quite popular in Amritsar (Punjab). 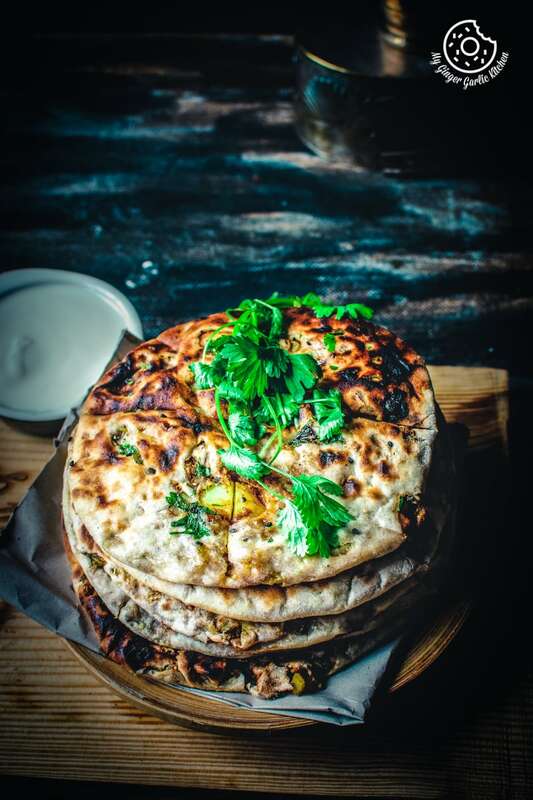 This dish Amritsari Aloo Kulcha is also very famous in the Northern parts of India. Some people also call it Amritsari Aloo Naan. Aloo Kulcha is soft as well as crispy and has a very spicy and mouth-watering potato stuffing. The potato stuffing aka ‘aloo masala’, has all the essence of Punjabi cuisine. This filling has anardana (pomegranate seeds) powder, carom seeds (ajwain), amchur (dried mango) powder, coriander seeds (sabut dhania), red chili powder, etc. Can I use whole wheat flour for making Kulcha dough? Traditional recipe uses all purpose flour (maida). 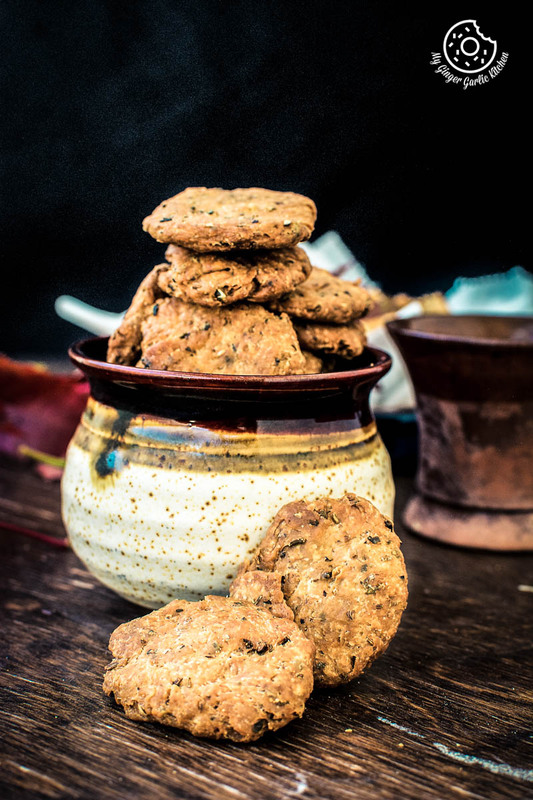 But you can definitely use whole wheat flour instead of maida. Or you can use the mix of both flours. If you use whole wheat flour for kulcha dough, then kulcha would taste more like Punjabi Aloo Paratha. How do you make dough for Aloo Kulcha? Aloo Kulcha Recipe calls for a perfect kulcha dough. This dough recipe does not have any yeast or eggs. Mix all the dough ingredients and start kneading kulcha dough. For kneading kulcha dough, you can either use the hands or use a stand-mixer or a food-processor. If you are kneading physically with hands, then use the heel of your hands, and knuckles. Once the dough ball is formed then start each stroke by gently pressing the dough down and away from you. Fold and press again. Repeat folding and pressing until the dough becomes smooth and elastic and forms a ball. This should take about 15 to 20 minutes. Kneading the dough is the process of working with the flour until the dough turns into a smooth ball and the gluten is formed. That’s why kneading the dough well for about 15-20 minutes is very important. Cover the dough and rest covered for 30 minutes to 1 hour. How do you make stuffing for Aloo Kulcha? Stuffing is made using boiled, peeled and mashed floury potatoes, green chilies, grated ginger, coriander leaves, chopped onions, carom seeds, crushed coriander seeds, and some powdered spices. You add all the ingredients to a mixing bowl. Then mix everything well. After that, you divide the masala into 6-8 equal sized balls. As of now, the Aloo masala is ready to use for filling. How do you make Aloo Kulcha? Dust the working surface with some dry flour. Take1 dough ball and gently press it. Start rolling the dough ball using a rolling pin or fingers. Once the dough is rolled into a 4 inch circle, place a stuffing ball in the middle and bring together all the sides. Pleat and seal. Press with your fingers to flatten the dough ball. Sprinkle some nigella seeds and cilantro. Roll the dough again into a 7-8 inch circle using your fingers or a rolling pin. How to cook Aloo Kulcha on a Tawa/Pan? Today, I am sharing Amritsari Kulcha recipe in oven and Kulcha on a stove top. This is how it is done. Once kulcha is rolled, flip it. Wet your fingers and apply some water on the kulcha. Place the rolled kulcha waterside facing down on a hot tawa/pan. The water applied on the rolled circle works as glue, and when placed on hot tawa this would stick to the tawa and wouldn’t fall off while flipping. Cook kulcha for 1 minute and flip the pan/tawa upside down and cook kulcha directly over heat/flame till it turns crispy golden brown. Remove the kulcha from the tawa and apply some ghee or butter. Aloo Kulcha is ready to be served! Authentic Kulchas are baked in tandoor. However, most of the people Indian don’t have tandoor at home. So people figured out two ways to cook Tandoori style Aloo Kulcha without tandoor. For cooking kulcha, you can either use an oven or cook it on a skillet over direct heat/flame. Both of the versions are easy and simple. In this recipe, I have cooked my kulchas on stovetop using a tawa but you can also bake kulchas in your oven. How do you bake Aloo Kulcha? For baking aloo kulcha, preheat your oven to 225°C/ 450°F. Line a couple of baking trays with the parchment paper. Arrange rolled kulchas on the prepared trays. Bake them in a preheated oven for about 8-10 minutes or until kulchas are golden brown in color. Remove them from the oven and apply ghee/butter on top. Serve hot. How to serve Aloo Kulcha? Aloo Kulcha or any other kulcha is generally served with chickpea curry. It is because it tastes best when served along with spicy chickpea curry. You can serve it with any type of chickpea curry (chana masala, or chole masala), or paneer curry. Aloo kulcha tastes awesome when served with any type of chole. I would advise you to try the recipe for aloo Kulcha as it is meant to be. For this Amritsari aloo kulcha I recommend serving it along with Amritsari chole. 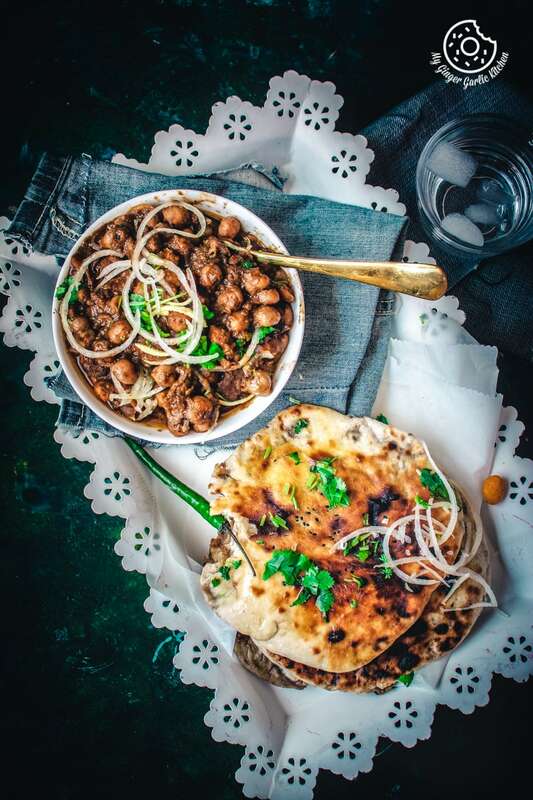 This combination of chickpea curry and kulcha is known as ‘Chole Kulche’ which is a meal in itself. Chole kulche is another popular dish after ‘Chole Bhature’ from Punjabi cuisine. You can also accompany chole kulche with some pickle, mint raita, or just plain yogurt. 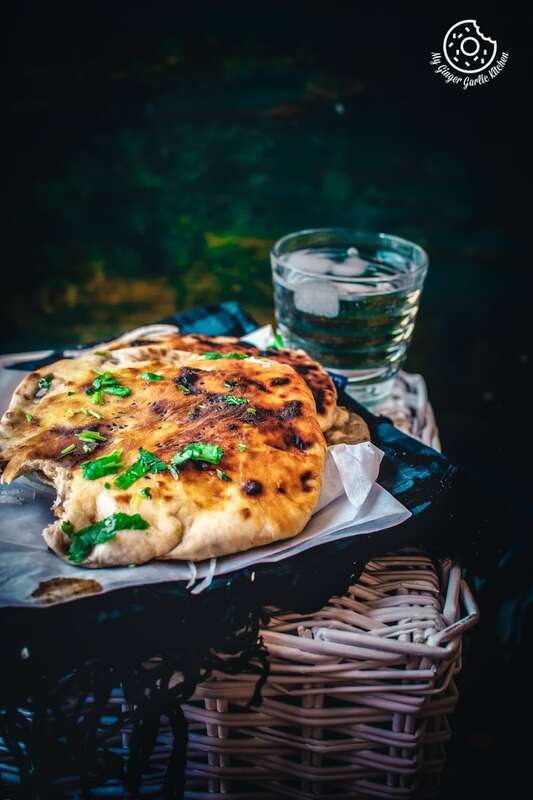 This recipe of Aloo kulcha makes a spicy and hot flatbread and then again served along with hot chickpea curry. So, feel free to adjust the amount of chili powder and green chili in the potato stuffing. 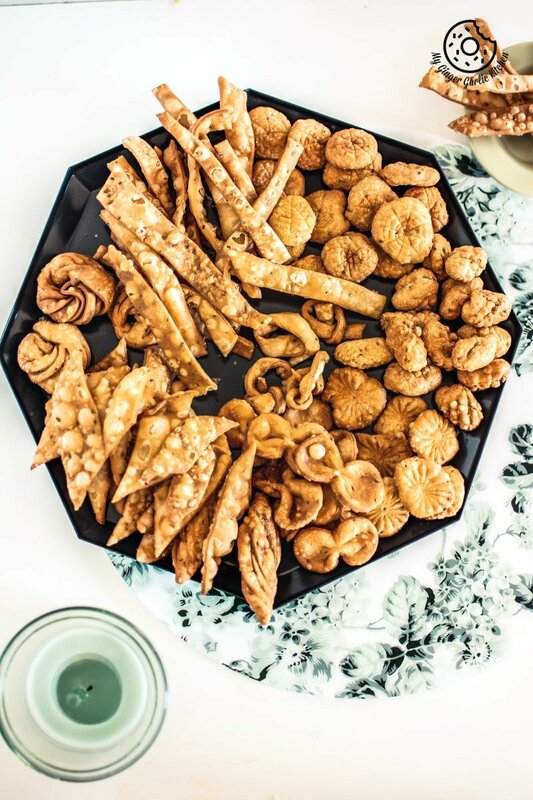 Traditional kulcha recipes call for maida (all purpose flour), but if you don’t like using maida then you can replace the maida with the same amount of whole wheat flour (atta). Or you can use the mix of both flours. Always use the warm liquid for making kulcha dough. I have used warm water but you can also use warm milk, or the combination of milk and water. The dough should be sticky and wet. We require dry stuffing for kulcha. So always use floury potatoes for making aloo masala for stuffing. Never use silky potatoes for making ‘Aloo Masala’. If you would use silky potatoes then stuffing would turn wet and sticky, and kulcha would be hard to roll with sticky stuffing. This recipe makes hot kulchas. Feel free to adjust the amount of spices according to your likings. Use vegan yogurt and butter to make the vegan version of aloo kulcha. Butter/ghee is added to the dough after kneading. Make sure you do not skip this step, because the addition of grease ensures that your kulcha would have perfect crispy and flaky layers. Do not use a non-stick tava to make the kulcha, because kulcha would not stick on the tawa. Combine maida, baking soda, sugar, salt, and yogurt in a large mixing bowl. Once the dough ball is formed add the ghee/butter, and knead for 3 more minutes. Cover the dough with a damp cloth and set aside for 30 minutes. Once the dough is rested for 30 minutes, transfer it to a large plate or a board. Using your fingers flatted the dough into a rectangle of about ½ inch thickness. Spread 1-2 tbsp of ghee on top and sprinkle with some dry flour. Fold 1/3rd of the dough inwards lengthwise. Now press the folded dough with your fingers and flatten it again. Spread 1 tbsp of ghee on top and sprinkle with some more dry flour. Gently massage it and dust with some more dry flour. Now fold the dough into half. Dust with some dry flour and roll it into a long log. Pinch and seal the edges of the log. Once done, divide the dough into 6-8 smaller portions. Fold and roll them into balls. Cover the dough with a damp cloth and keep it aside for 10 minutes. After 10 minutes the dough will be ready to roll. 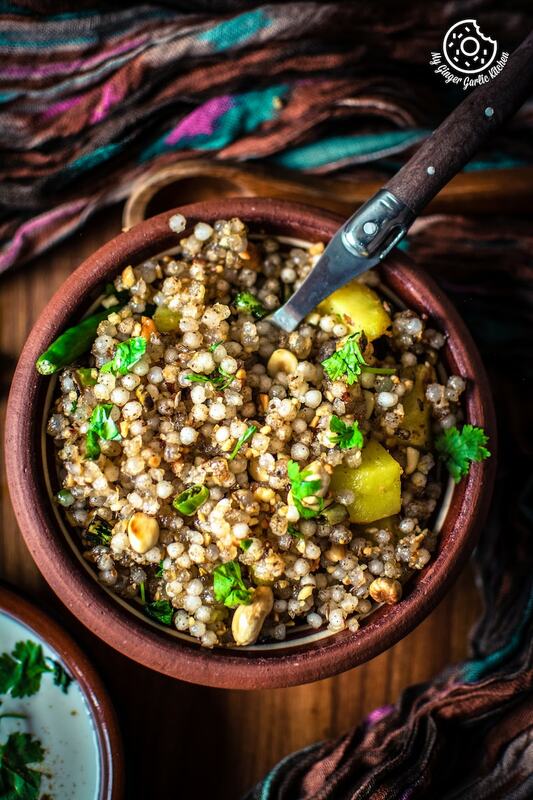 In a large mixing bowl, add mashed potatoes, green chilies, chopped coriander leaves, grated ginger, crushed coriander seeds, and carom seeds, black salt, amchur powder, red chili powder, anardana powder and salt. Mix everything well. After that add chopped onions and mix well again. Next add kasuri methi and mix until all the ingredients until well combined. Divide stuffing into 6-8 portions and roll them into balls. Stuffing is ready. Keep it aside. Dust working surface with some dry flour. Take one portion of the dough and flatten it into 4 inch circle using fingers. Take 1 portion of filling and place it in the center. Bring together all the sides and start pleating the dough. Seal the dough ball by pinching. Dust work surface with some dry flour. Press with your fingers to flatten the dough ball. Sprinkle some nigella seeds and cilantro. Roll the dough again into a 7-8 inch circle using your fingers or a rolling pin. Once kulcha is rolled, flip it. Wet your fingers and apply some water on the kulcha. Place the rolled kulcha waterside facing down on a hot tawa/pan. Cook kulcha for 1 minute over medium heat. Flip the pan/tawa upside down and cook kulcha directly over heat/flame till it turns crispy golden brown. Amritsari Aloo kulcha is ready. 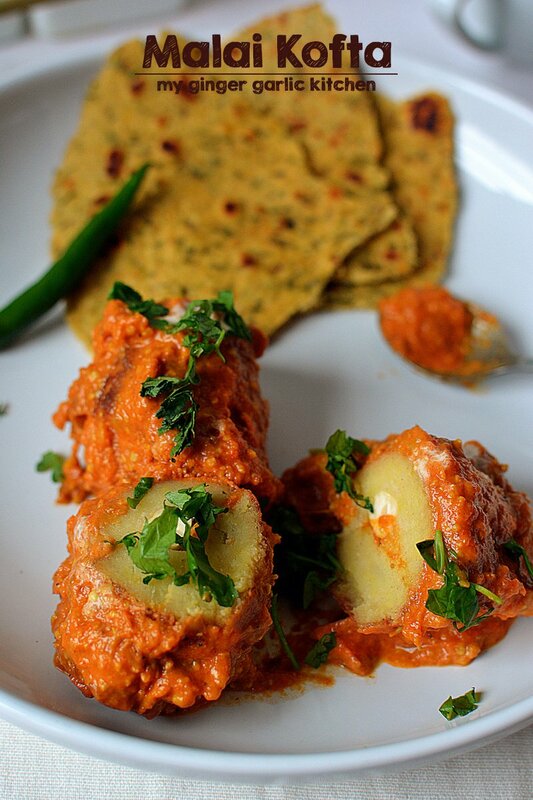 Serve it hot stuffed Aloo Kulcha with Amritsari Chole. Preheat your oven to 225°C/ 450°F. Line a couple of baking trays with the parchment paper. Arrange rolled kulchas on the prepared trays. 1. We require dry stuffing for kulcha. So always use floury potatoes for making aloo masala for stuffing. Never use silky potatoes for making 'Aloo Masala'. If you would use silky potatoes then stuffing would turn wet and sticky, and kulcha would be hard to roll with sticky stuffing. 2. Layering and buttering the dough makes the kulcha very crispy and flaky. So do not skip it. 3. Do not use a non-stick tava to make the kulcha, because kulcha would not stick on the tawa. 4. Use vegan yogurt and butter to make the vegan version of aloo kulcha.